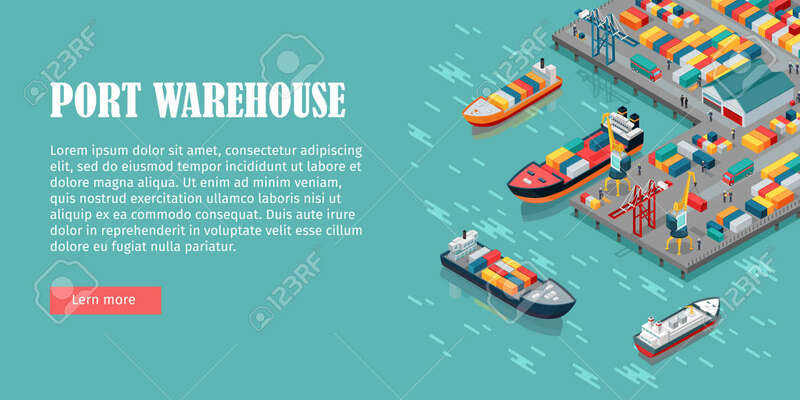 Warehouse Port Vector Conceptual Web Banner. Isometric Projection. Ships With Containers On The Berth At The Port, Cranes, Workers. Cars, Hangars Ashore. For Transport, Delivery Company Landing Page Royalty Free Kliparty, Vektory A Ilustrace. Image 67676483.